Aiming towards muscle growth and trying everything to have them quickly and strong? Well – patience and perseverance is the key. Muscle building is not possible at rocket speed; months of training, right diet and discipline will help you in building muscles. If you have just started working out and looking for muscle building tips, you can check out our top 10 tips to build your muscles. These are time tested and will give results. If you have just started working towards muscle building start with strength training. There are two reasons for this – firstly, you will be weak in the beginning and cannot afford any injury which will take long time to recover. Secondly, you will have to learn lifts and you need time. Beginners need to get strong on compound lifts first. You should never miss workout no matter what the situation is. No complaining about muscle aches or muscle soreness. It is a part of your muscle building routine and you cannot afford to miss gym sessions with such excuses. Lifting weights is difficult and you may occasionally feel the pain, strain and soreness but you have to keep going. Nutrition is extremely important for muscle building. 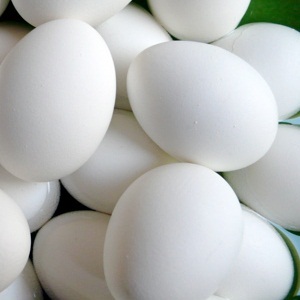 Increase your intake of eggs and do not miss out the yolk too. If eating too much diet food seems dull or bland add some butter and olive oil. Have at least 3 glasses of whole milk in a day. Cheese and sour cream are highly recommended. Ensure that you are having at least 240 grams of proteins. Do not compromise on your sleep because your body needs time to rest. Our bodies undergo several changes during sleep which includes muscle repair and renewal. Moreover, if you do not have enough sleep, you will feel tired and exhausted and will not be able to workout with full energy. Squats are said to be the king of muscle builders. Never miss them – everyday counts. If you are working out 4-5 days in a week, do not exercise for more than 45-50 minutes in a day. Warm up, do the exercises and get out of the gym. Spending hours in the gym actually does not help and will over work your body and cause injury. You have to train stronger and stronger if you wish to build muscles. Encourage yourself to go for more weights and once you are done, get to the next level. Keep progressing always. 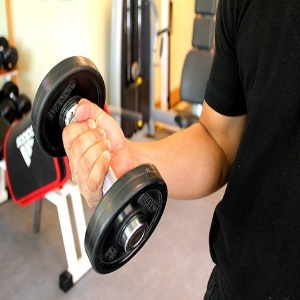 It is no use doing the same set of exercises every week because your body will get used to it and soon it will stop reacting. Keep changing your workout plan changing every 3-4 weeks – let your body take time to adapt. Log all your workout sessions. You need to keep a track of everything – date when you first started, duration, daily calorie intake and weight. Stay motivated and be positive about the outcome of your efforts. This will help you to keep going through the exercise routines and you will be able to see results soon. 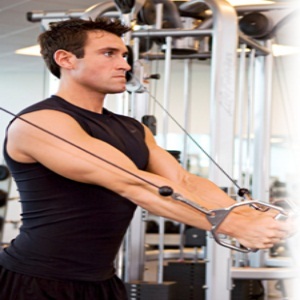 Hope these tips for muscle building will help you to achieve your desired goals.